This is the book that saved me. Some friends recommended it before Duke was born, but my mind was still on all things pregnancy so I didn't think much about it. All it takes is 3 weeks - 3 weeks of not knowing what to do with a newborn baby while being absolutely sleep-deprived and hormonal. I was losing my mind. I had a little flashback and remembered my friends suggesting this book. I didn't care what it was or what it said, but I was going to read it. I needed answers. As I read it, I started implementing different concepts in the book. It was amazing. I was automatically seeing results and I felt like a new person. What is Babywise? I'll just give you my brief description. Babywise focuses on a cycle of eating, waking, and sleeping. This cycle repeats itself all day long. It's predictable and, eventually, you fall into a schedule with your baby. Along with this cycle come longer stretches of sleep at night. Within days of starting Babywise, Duke was sleeping 5-6 hours straight at night. That's an extremely short explanation and I'm leaving a lot out, but that's the general idea. There's so much more to it than just getting your baby to sleep through the night, but in the beginning that was my reason for reading it. There are many benefits to Babywise and I'm sure I'll continue seeing more as Duke gets older. I'll continue posting little bits and pieces about my experience with Babywise. Hopefully some of you will find (or have found) it as helpful as I have! Amen to babywise. Cute story, I had already planned to do babywise before Lyndon. I have friends that swore by it. Not being a reader I just took their cliff notes and planned to go with it. 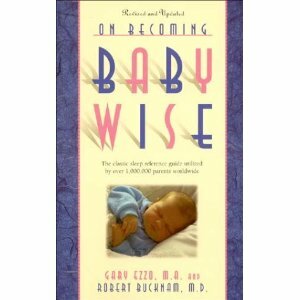 Well when I was on bedrest in the hospital before he was born I very sweet older lady came to visit me and brought me a gift, the babywise book. That sweet lady was mama Lou!! Yea for babywise!! Penelope Leach was my go to book. Researched based and easy to read with lots of good charts and quick references. It not a how to book as far as baby care but a why book. If you have any questions about what they need and why. It is the best. Love it! Couldn't do without it. 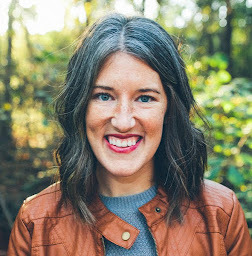 The how to book that I recommend is her book Your Baby and Child: From Birth to Age Five. Never used baby wise. Don't know much about it but know that Ava turned out great and goes to bed at 8 and wakes up at 8. She feel into a routine very well. Everything I have learned from Essintial First Year felt right and seems to have been the best for her. I started Babywise when my baby girl was 7 weeks old, she will be 10 weeks on Monday and we are still having issues. She consistently is still waking 2 times a night and still cries for about 10 min for every nap/bed time. She wakes every morning at 7, and eats at 7:30. But the day usually doesn't stay on schedule from there. I know Chronicles of Babywise says use it more as a routine vs a schedule so that's what I try to do, if she wakes after an hour (I always wait about 10-15 minutes before getting her if she wakes early) we start the cycle over. Eat, wake, and then down again. I know they say dedicate weeks to getting the schedule down, but my husband is deployed, so it's just me and we HAVE to go out of the house and sometimes she won't sleep in the car seat. Any advice? I'd love to sleep through the night!